First kin – spouse or life partner, children or parents. Second kin – grandparents, grandchildren, brothers or sisters. 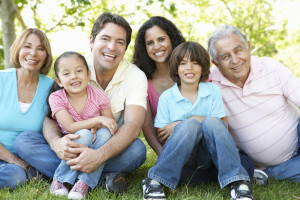 There are no age limitations on the relatives visa. There is no official cap on how many family members can join a relative in South Africa. Instead, each application is judged on its own by taking into consideration all criteria. What is allowed under a relatives visa? The South African relatives visa extend long-term stay in South Africa for foreign nationals who are successful in their application. Foreign nationals with temporary residency are not allowed to work, study or start a business. To do any of these activities, permanent residency status is required. What are the main criteria of the South African relatives visa? The main criteria is that the foreign national is an immediate family member of a South African citizen or permanent resident. The applicant must also be able to prove that ZAR8 500 per person per month is available for living expenses. The proof for the ZAR8 500 must be from the South African relative, also known as ‘the sponsor’, and/or the joint means of the applicant and the sponsor. Both first kin and second kin are allowed to apply for temporary residency. If successful, a temporary South African relatives visa will be extended. It will be valid for a period of two years. Only first kin relatives, so spouses or life partners, children or parents of the South African relative, are allowed to apply for permanent residency. The be able to apply for a South African relatives visa, you must meet all the requirements. To see if you do, complete our quick online assessment. Once we have received your details, a consultant will call you to further discuss your eligibility. You can also give us a call without doing the online assessment first. Our number in Cape Town is +27 (0) 21 424 4260 and in Johannesburg it is +27 (0) 11 234 4275. Alternatively, request a free call back and a consultant will contact you instead. Since our inception in 2005, Intergate’s dedicated immigration consultants have processed more than 9 000 visa and visa related queries. Our consultants are qualified, tested and registered too. Our quality management systems have passed stringent tests too. An independent auditor has found them appropriate and effective, and awarded us with ISO 9001 certification. There is no-one better to guide your through your immigration to South Africa.